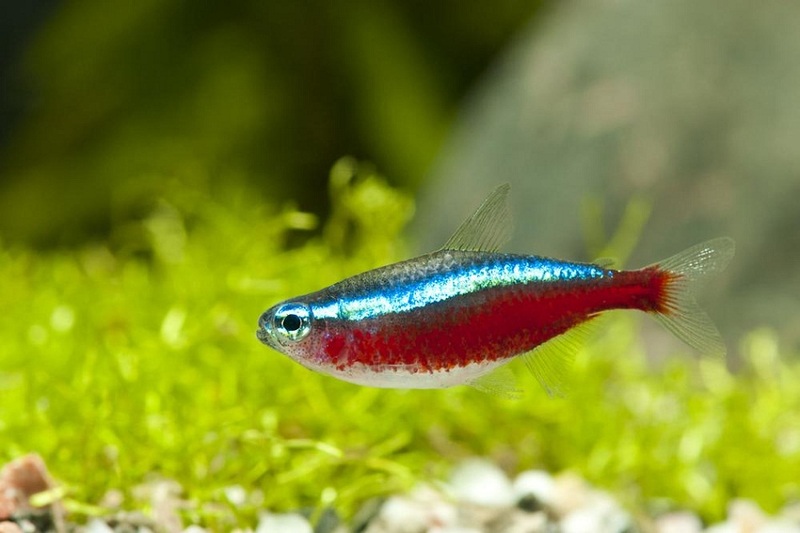 The neon tetra disease is a life-threatening parasitic condition that occurs in many freshwater fish, mostly the tetra species (except the Cardinal tetra, which is surprisingly immune to it) . Restlessness or your fish gasping for air at the surface with its gills open, especially at night [1, 3]. Loss of appetite, where the fish is unwilling to eat, remaining at the bottom of the aquarium. This behavior is usually observed when the disease has progressed throughout the infected fish’s body . Loss of coloration with the fish slowly turning white, which usually starts along the spine and eventually expands . In the initial stages, you may notice some white spots along its back. A fish affected by neon tetra disease is also prone to secondary infectious diseases, including fin rot and bloating [1, 3]. 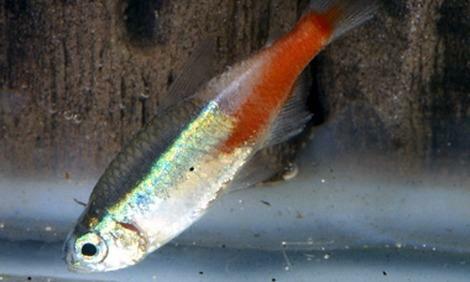 Sometimes, the neon tetra disease may be confused with another bacterial infection columnaris or the ‘false’ neon tetra disease, as it also causes white spots . 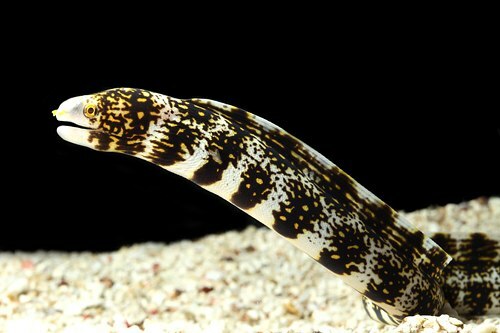 It is caused by the Pleistophora hyphessobryconis parasite that affects the skeletal muscle of the infected fish [1, 2]. 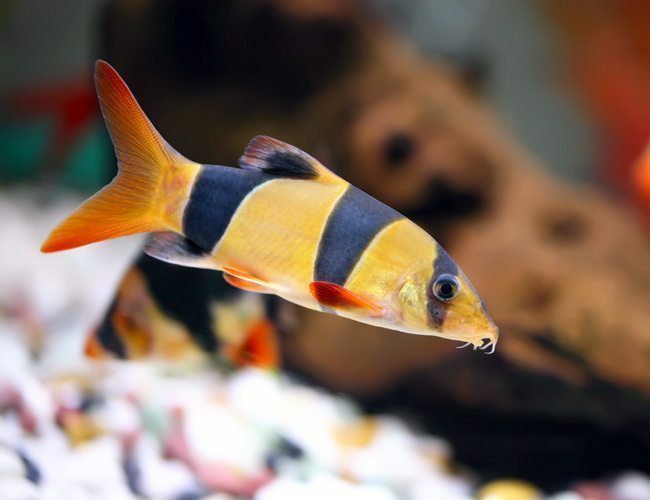 The infection can occur if a fish is provided with infected live-food, like worms, or if it consumes an infected dead fish that has not been removed from the tank . Once the parasitic spores enter the body, they spread through the host . Upon reaching the intestinal tract, they lay eggs which hatch after a few days of incubation period to produce embryos that dig through the intestinal wall of the fish, producing cysts (closed sac-like structures) in the muscle tissue [1, 3]. As a result, the cells in the muscle tissue die, causing it to lose coloration [1, 3]. Since the disease can only be diagnosed properly when it has already progressed considerably, it is usually incurable [1, 3, 4]. So, all you can do is try to protect the rest of the tank from the infection. If you suspect neon tetra disease in a fish, immediately remove it from the aquarium [1, 3]. You may as well consider euthanizing the infected fish (and make sure to remove it when it’s dead) to prevent an outbreak . Avoid buying a fish from a pet store where they do not keep the fishes for sale in optimum conditions (in some stores, they may not take care to remove any dead fish from the tank, and all the other fish may be infected as well) . Keep any new fish in a quarantine tank for at least two weeks to make sure that it is healthy . Take preventive measures like keeping the aquarium environment clean and change water frequently to maintain water quality . Instead of giving live food to your fish, you can feed them commercial fish flakes that have a lesser chance of parasitic contamination . 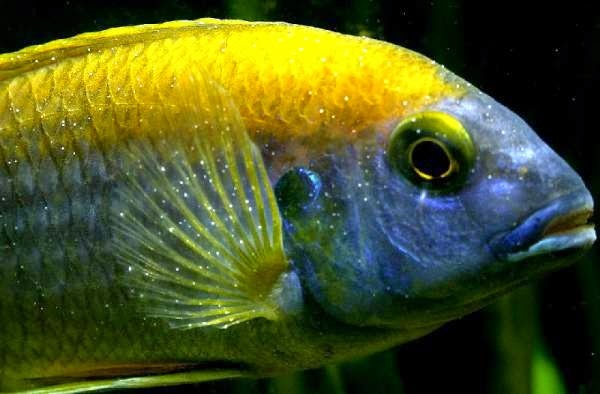 While some species, like the Angelfish, may live longer with it, others may die within a few months [1, 3]. Although it is not known whether the infection can be transmitted to humans, you should take safety measures like using gloves while handling a sick fish and then disinfecting the equipment used.